How God Called Me to Red Rose Rescues and the Personhood Proclamation Presidential Order; A Two Year Chronology! This is Fr. Imbarrato’s story chronologically told from 2016 through 2018. This is an excellent interview of Fr Stephen’s prolife and priestly ministry by Anne Karto of Ave Maria radio. Watch Fr Stephen every morning live on Facebook’s Catholicity! Here are the important websites Fr Stephen mentions during his live broadcast! Constitutional Crisis vs Constitutional Crisis! What if…? President Trump immediately orders all federal law enforcement to close all abortion facilities in the US operating as such. What if…? President Trump instructs the Department of Justice to immediately prosecute anyone who performs an abortion from that day forward. What if…? The federal courts file suit and issue an injunction regarding the Presidential Executive Order. What if…? President Trump ignores the injunction stating that the courts have no jurisdiction over the Executive Branch and states that the daily mass murder of thousands of innocent preborn persons is a “constitutional crisis” and a “national emergency.” Further he states that federal courts initiated this legalized American Holocaust and have since protected it and thus have no moral authority to keep the President from stopping said American Holocaust! What if…? President Trump risks a possible Constitutional Crisis to end a clear and ongoing Constitutional Crisis? We have been in the midst of a constitutional crisis for 45 years. It is time for the government to take responsibility for what they have wrought upon our nation. It is time for the government to end the American Holocaust. It is time for the government to end the daily mass murder of innocent preborn that they have legally sanctioned, funded legislatively, and actively protected in the courts for 45 years. END THE AMERICAN HOLOCAUST NOW! (Draf t) I, President Donald Trump, by this Presidential Executive Order, based on indisputable science and abundant case law, grant Constitutional Personhood from the moment of conception (fertilization) and I direct all federal agencies and departments to act accordingly. Emails: whitehouse.gov/contact Fill in all requested information. In your own words encourage President Trump to sign Presidential Executive Order. Message can be up to 2500 characters. (Draft or sample tweet) I, President Donald Trump, by this Presidential Executive Order, based on indisputable science and abundant case law, grant Constitutional Personhood from the moment of conception (fertilization) and I direct all federal agencies and departments to act accordingly. Send your own tweets to @realdonaldtrump with your own hashtags. Also, go to @realdonald trump and respond to his tweets with your own tweet about the Personhood Proclamation. Please share this strategy across social media! Video below is Fr. Stephen explaining the origin of the Personhood Proclamation Presidential Executive Order at the Survivor Camp July 2017. Protecting Prenatal Persons: Does the Fourteenth Amendment Prohibit Abortion? Dr. M.L. Condic’s Support for the Origin of Human Life at Fertilization (Assoc. Professor of Neurobiology and Anatomy, University of Utah, School of Medicine). Bioethics White Papers – When Does Human Life Begin? During the 2017 nationwide protest of Planned Parenthood, about 125 DC area anti-abortion advocates stated a march from the US Supreme Court to the new DC Planned Parenthood mega-facility. A similar number of pro-abortion counter-protesters showed up to harass the marchers and, if possible, prevent the protest from taking place. 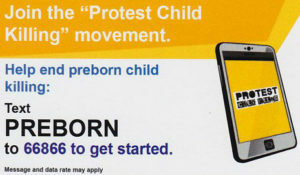 Please join our peaceful and prayerful protest movement to end preborn childkilling by the end of the President Trump’s 1st term. 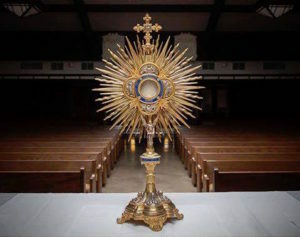 Eucharistic processions are the most peaceful, prayerful, and powerful protests against abortion. A first hand look of peaceful protests view the “We are Protestors” video. We need the church activated: “Sing a Little Louder” video. Fr Stephen, ordained in 2005, is a great grandfather priest who has experienced abortion himself . Fr Stephen has been a Prolife activist since the mid 90s and has founded 2 prolife centers (St Gerard’s and Project Defending Life) which have saved hundreds, maybe even thousands of babies, by helping their moms choose life. 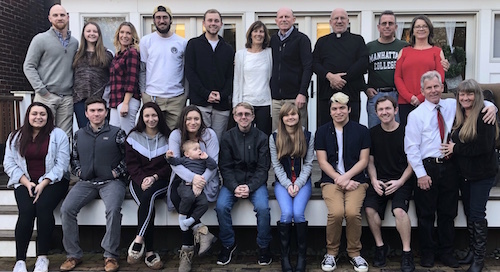 Because of Fr Stephen’s personal experience with abortion, he has counseled countless post-abortive women and men toward healing thru various Rachel ministries. Fr Stephen is calling for the pro-life movement to have serious discussions on various decisive strategies to end government sanctioned, government protected (by the courts), and government funded (with our taxes) preborn childkilling. See a list of strategies near the top of this web page. Fr Stephen has traveled around the country declaring that the daily mass murder of the preborn is a national emergency and a constitutional crisis. CONTACT TO INVITE FR STEPHEN: frstephen@defendinglife.org. Did Red Rose Rescues Cause the Largest Virginia Abortion Facility to Move Their Location? Detailed story of the 2 March 19th Washington DC Rescues and arrests. Video of Fr Stephen getting arrests along with 2 others on his birthday. RED ROSE RESCUE CHARGES DISMISSED AGAIN! LiveActionNews Covers the DC Christmas Rescue as a followup to Their Previous Exposes on Surgicenter! LifesiteNews Interviews Fr Stephen about His Christmas Rescue! Red Rose Rescues Save Lives! Father Stephen, a priest associate with Priests for Life, was charged and convicted, and spent almost a week in jail for his actions. - Pro-Life Prisoner of Conscience JAILED in Washington D.C.
Rescuers given suspended fine, no jail! 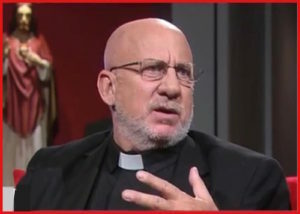 Father Stephen Imbarrato's Comment About the Red Rose Rescue!